This Multisports Deluxe Smith Machine Package - features high quality 2 x 4, 2 x 3, and 2 x 2 inch heavy gauge steel construction to ensure stability and durability. An electro statically applied powder coating to resist scratches, corrosion and chipping. The chrome-plated components are used in high-contact areas. It has premium grade vinyl with a protective finish formulated to resist bacteria, stains and mildew. The Multisports Deluxe Smith Machine Muscle System 3 inch and 2 inch high-density ultra firm foam over 3/4 inch thick plywood with stitched seams is to provide long lasting comfort. The Multisports Deluxe Smith Machine Muscle System also has large, high-density foam rollers with resilience and comfort. American made mil-spec nylon coated aircraft cable rated at 200 Pounds tensile strength is used in all areas of significance. This Deluxe Smith Machine Package also features large, high-grade 3/4 inch socket head cap bolts in major connection points and 4 1/2 inch diameter heavy duty reinforced fiberglass impregnated nylon pulleys with sealed steel roller ball bearings. All bushings are oil-impregnated to give a smooth and quiet response during an intense workout. 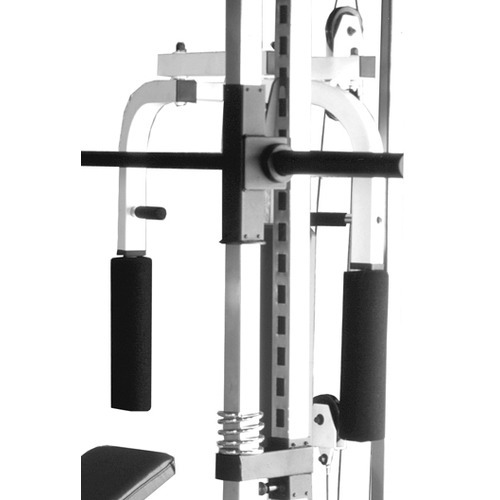 The Multisports Deluxe Smith Machine is a machine designed specifically for the serious lifter. The strongest muscle system available, it out-powers, out accelerates and out-builds all the rest. The DSM provides a wide range of exercises convenient with home gyms while providing the extra benefits of Smith Machine exercises. Comes complete with Preacher Curl Bench, Bench station, Lat Pull Down w/cable for attachments. Ideal for free weight exercise workouts. Call 1-800-875-9145 to speak with one of our fitness advisors with any questions you may have. Push yourself to the max...Go to FitnessZone.com today and order your Multisports Deluxe Smith Machine! Bearing System: Solid Steel Sealed Bearing System allows for increased smoothness, precision and durability. MultiSports leads the industry in being the first and only company to upgrade our home - use Free Weight Systems from bushings to our improved state - of the - art steel bearing system. 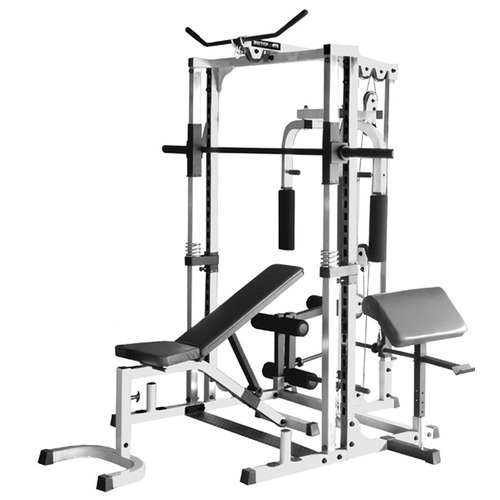 Order your Multisports Deluxe Smith Machine Muscle System from FitnessZone.com today!